Twice they fell behind to their Spanish superiors only to claw their way back into the contest via a fine first-half strike from Peter Lovenkrands and a late own goal from the boot of defender Pena. 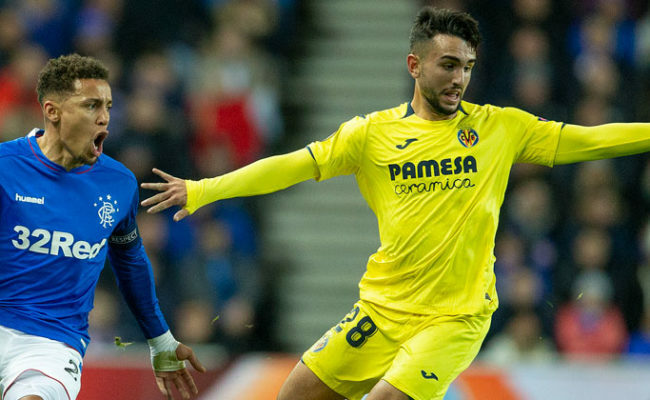 The result certainly hands Villarreal the upper hand ahead of the second leg in El Madrigal on March 7 but should Rangers perform as they did tonight then the La Liga outfit will not have it all their own way. In all likelihood Alex McLeish’s men will need to emulate the most successful result in the club’s history if they are to progress beyond the round of 16. The Cup Winners Cup-winning squad of 1972 remain the only Rangers team to have savoured victory on Spanish soil in European competition and it will be a remarkable feat if the class of 2006 could emulate that achievement. 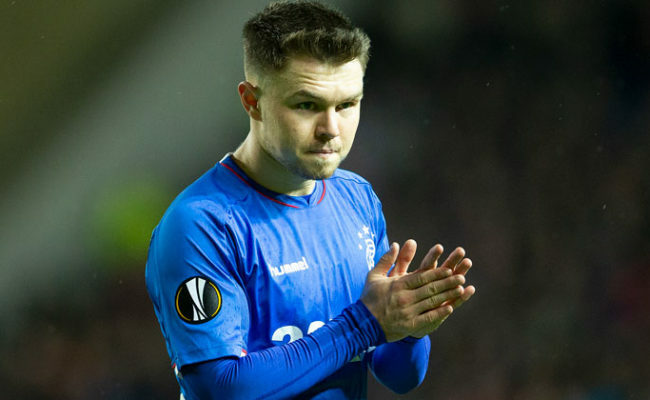 While a high-scoring home draw was not ideal for Rangers in the first leg it admittedly could have been much worse following a wretched start. For weeks McLeish had reiterated the importance of denying Villarreal the luxury of an away goal yet Rangers’ resistance was pierced after just seven minutes and with the unlikeliest figure cast as the villain of the piece. Only Dado Prso can explain what he was thinking when he raised an arm to bat away a corner from the fit-again Juan Roman Riquelme but French referee, Eric Poulat, wasted no hesitation in pointing to the spot and Riquelme nonchalantly clipped home the penalty. A raucous reception had greeted the teams as they strode onto the field before kick-off but the capacity crowd – aside from the pocket of visiting supporters – were again silenced when Villarreal came close to doubling their lead seven minutes later. Riquelme’s wicked free kick was thumped goalwards by Jose Mari from close range only for Ronald Waterreus to execute a spectacular stop to keep it out. Gonzalo stabbed in the rebound but the offside flag quickly curtailed his celebrations. Rangers by that point had created a couple of chances of their own. Hamed Namouchi, a surprise selection, was wasteful after advancing into a promising position but playing a pass behind Lovenkrands before the Tunisian shot wide minutes later after a surging run from Steven Smith had teed him up. As has been the case so often this season, especially in Europe, Lovenkrands emerged from the maelstrom to save Rangers once more with an equalising goal. Chris Burke, a real energetic presence throughout, was the creator with a 30-yard burst through the heart of the defence and when he was dispossessed the ball – for once – fell kindly for Rangers and Lovenkrands lashed a ferocious left-foot shot beyond Sebastian Viera to draw his team level. 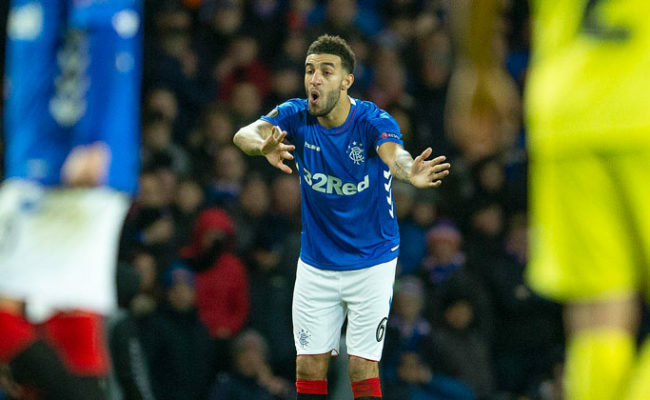 Ibrox erupted and there was almost a second goal to cheer just moments later when Alan Hutton’s cross dropped invitingly for Namouchi only for the midfielder to head wide. The revised version of the offside rule – as complicated and convoluted as some of Newton’s theories in parts – has been the subject of much debate for some time now and the manner in which Villarreal scored their second goal will have done little to dilute the controversy. Diego Forlan was one of three Villarreal players in an offside position when Riquelme launched a header deep into the Rangers penalty box but, under current guidelines, was correctly deemed not to be interfering with play. That was, however, until Gonzalo shovelled a lateral pass towards the Uruguayan who then thrashed a fierce effort high past Waterreus. The Rangers defence, to a man, looked towards the assistant awaiting his flag but alas it never came and the goal was allowed to stand. It could have been worse for Rangers before the break when Forlan – this time legitimately – once more sprung the offside trap but, faced with the whites of Waterreus’ eyes, the former Manchester United striker blasted his effort off the Dutchman’s calves and wide for a corner. 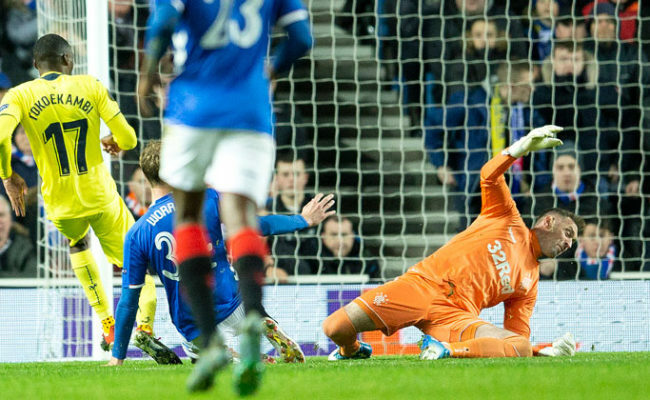 The second half brought more endeavour and bluster from Rangers but again with little in the way of end product. Julien Rodriguez nodded a corner over the top, Lovenkrands was crowded out as he weighed up a right-foot drive and Ferguson headed tamely into Viera’s arms as McLeish’s men tried valiantly to get back onto level terms. It was Villarreal, however, who still looked the side more likely to score and Forlan could have done better with his shot after a cute pass from the irrepressible Riquelme had sent him clear. Thomas Buffel and then Nacho Novo emerged from the substitutes bench as Rangers tried to conjure up a late equaliser and the Belgian would have a major part to play as the Ibrox side drew level for the second time on the night. Buffel’s cross seemed to be of little danger to the visiting defence until Pena stuck out a boot to send the ball spiralling over his own keeper and into the net for a fortuitous if very welcome goal for the home side. 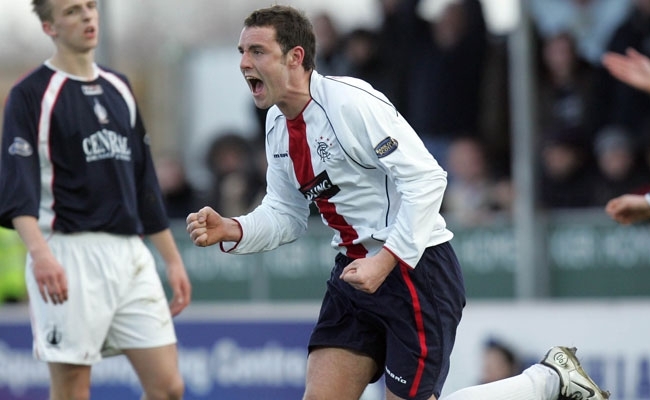 Prso’s night of personal turmoil was finally complete when he picked up a late booking, meaning he misses the second leg in Spain, and he was replaced shortly afterwards, Kris Boyd earning his Champions League debut.